By now, you might know how to shower like a beauty editor—but do you know how to shower like a Korean beauty expert? Didn’t think so. Your shower time is a tranquil time to unwind and cleanse…but it can also be so much more. We interviewed four Korean beauty experts—Christine Chang and Sarah Lee of Glow Recipe, Jane Park of Julep, and Alicia Yoon of Peach and Lily (and Byrdie’s resident Korean beauty expert—and asked them to divulge what some might say is the most intimate part of their beauty routines. Suffice it to say, we’ve armed ourselves with lots of information to help us in the never-ending quest to soft, poreless skin à la our sisters in Korea. And yes, we are buying all the Italy towels (which aren’t really Italian at all—more on that ahead) and konjac sponges. Keep scrolling for the fascinating shower routines of four top K-beauty experts! “The first thing I do in the shower is to start shampooing so that I can then apply a hair mask for as long as possible throughout the rest of the shower. The heat helps to seal in the mask into the hair shaft, so I find this particularly effective. A tip that I've religiously followed since high school is to tilt your head back when washing away the shampoo so that the suds don't touch your face—you'd want to reserve that for a facial cleanser. The second step would be to immediately follow with a hair mask, which I generously coat onto the ends of my hair. I love experimenting from high-end to low-end, but right now I'm simply loving L'Oréal's Damage Erasing Balm ($7). If I'm in a hurry, I also love these ponytail sheet masks. Since they are leave-on, they allow me to wash my hair quickly and jump out of the shower right away. I wrap the sheet mask around a loose ponytail and let it sit while I get dressed. “My favorite sulfate-free cleanser is LJH Tea Tree 30 Cleanser ($30)—it's the perfect whipped, foamy texture for summer and has 30% tea-tree extract to keep skin summer ready. I start from my forehead and nose, which tend to gear toward combination in the summer, then move on to my cheeks and finish at the neck in gentle circular motions. I'm not a huge fan of cleansing devices for day or night and prefer to stick to my hands. “Some of the most important steps of my shower happen before I ever turn the water on. Once a week, I exfoliate deeply by slathering my arms, legs and décolleté with our Julep Brilliance Glycolic Scrub ($23)—it’s gentle enough even for the décolleté! It works best if you massage it right onto dry skin. Then, I slather the ends of my hair with rose hip–seed oil, which is so light it washes away easily. Again, I work this in while my hair is dry so that the oil can penetrate deeply. This is my magic trick for shiny hair. “I use my It’s Fun to Exfoliate Body Konjac Sponge ($16) and my Rethink Your Shower Body Cleansing Oil ($38) to cleanse, hydrate, and exfoliate in one easy step. I named my body konjac “It’s Fun to Exfoliate” because it really is! 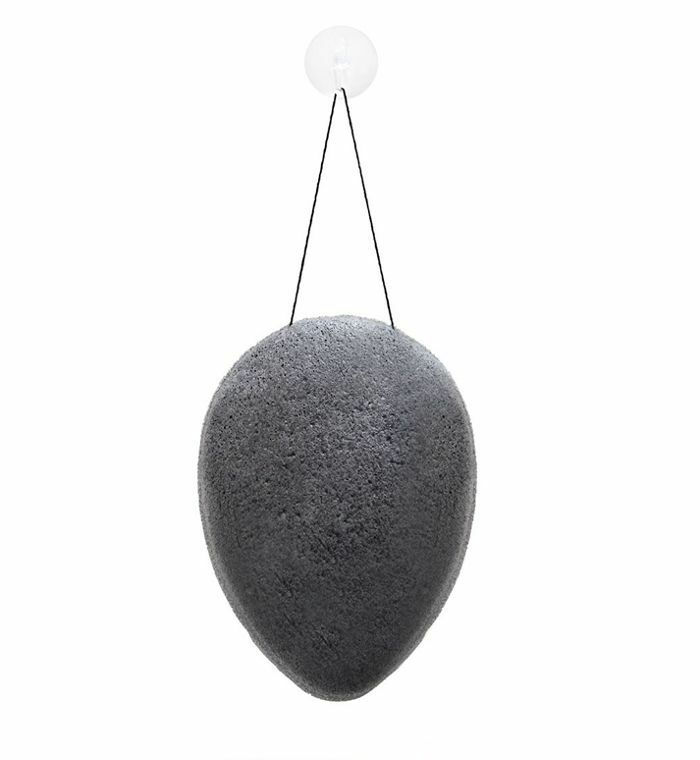 We took our cult-favorite Konjac Cleansing Sponge ($12) and made it big enough to use for the whole body. I can’t live without it. Rethink Your Shower is SLS-free and has urea that smooths. We were really careful in selecting the oils for it. For example, I wanted grapefruit peel because the AHA helps to brighten and even skintone—who wouldn’t want a dose of that from their shower? “My shower routine is pretty simple when it comes to hair and body, but gets a little extensive for the face. 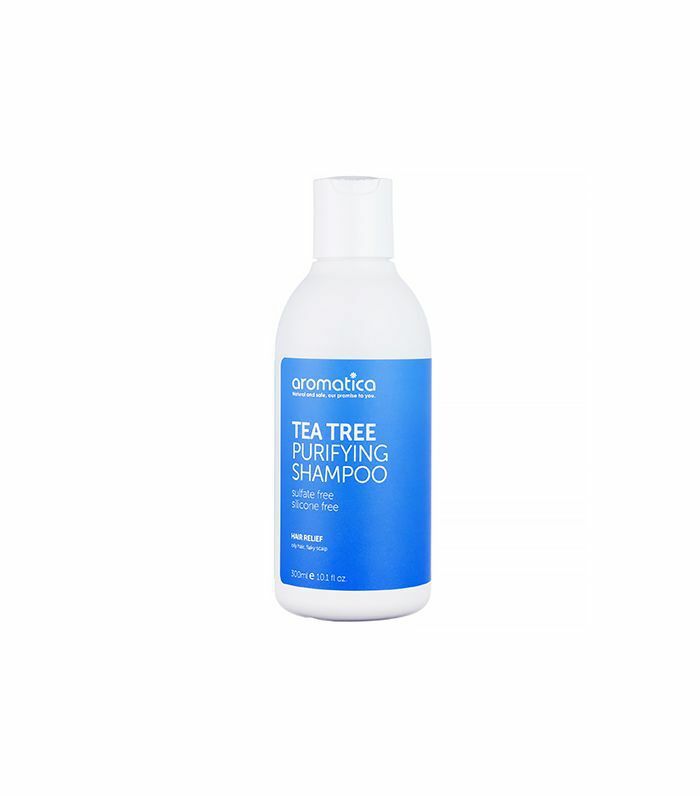 I start with my hair—these days, I'm using the Aromatica Tea Tree Purifying Shampoo ($27). It’s amazing for those with oilier hair or during the summer; I have dry skin problems and can have a dry scalp as well, but for the summer when things can get sweaty, I love that this keeps my hair light and clean without stripping it dry. Plus, it smells amazing! I have a little ritual of kneading my scalp and massaging it when I wash my hair—it’s relaxing, and Koreans are big on circulation, which helps keep scalp healthy and hair from thinning! “As I wait before rinsing out the conditioner, I wash my face with a very gentle non-foaming cleanser since I'm usually showering in the mornings and don't have makeup on, and all the steam helps to cleanse more easily. I then quickly pat my face dry—or rather, damp—with a nearby clean small towelette. Then, I pat in toner and an essence. I actually keep both in my shower stall because I do this every time I shower! I'm currently using Bitgoa Hue Essence Toner ($57) and Cremorlab Aqua Essence Water Fluid ($40). “For the body, I use this little towel scrub that my mom used on me since I was a little girl. 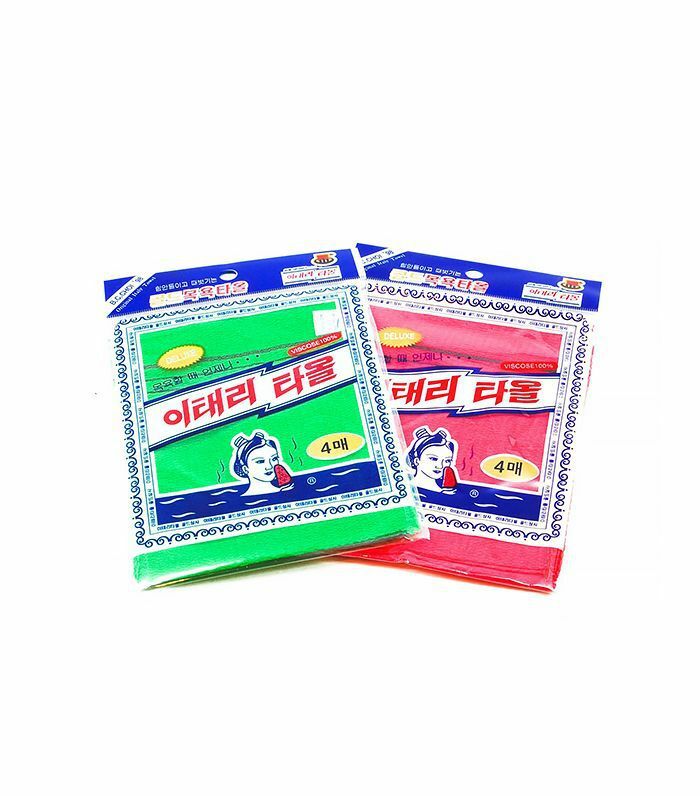 Every Korean bathhouse uses this, and a shower doesn't feel like a shower without it. It can be a bit harsh on the skin, and I like it best when it's a little bit more worn down, so I actually don't use mine until I first sand it down a bit on a pumice. I'm on an Aromatica streak and using the brand’s Lavender Soothing Body Wash ($21) because it's great for my dry, eczema-prone skin. I love that it's natural, organic, and so soothing with the subtle, natural lavender scent.